It's getting closer, it's unavoidable, your radio is littered with songs of a generation gone by, churches are lighting candles and singing carols in repetitive strains of unreachable keys, traffic is terrible, everyone is asking if you've done your shopping yet, what leave you're taking from work and your halls are suitably decked. It's not Christmas at all! Christmas only begins on 25th December otherwise Christmas Eve wouldn't be a thing. This is advent. The preseason, the warm up. We are (or should be) still waiting for Christmas. Advent is the period of waiting, a time of preparation before Christmas, but waiting in today's world is not easy! Adopting a slower pace, in these high paced days, is a subversive act of resistance that many can't even comprehend. Arrival is a film about waiting, a film about patience and a film about communication. While the world rushes to understand why alien visitors have landed among us some rush to conclusions and also (in some cases) to bear arms against them. Louise Banks (Amy Adams) waits. Dr. Banks acts in a completely different manner to those around her. She takes her time, learns to communicate differently and adopts a different language to do so. 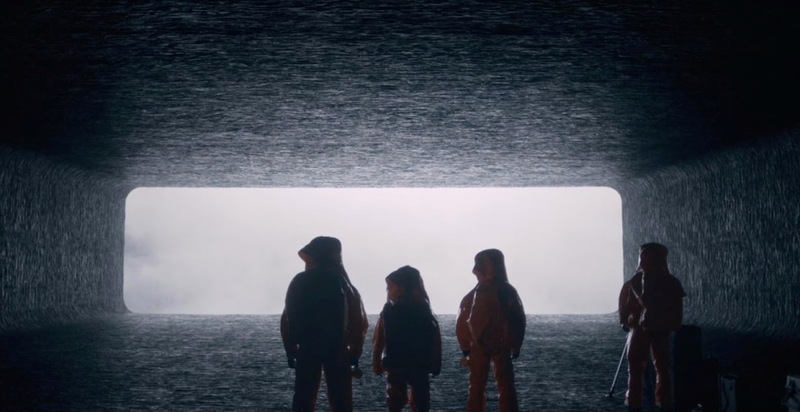 Arrival is wonderfully intelligent science fiction but it is inadvertently a film that fits the mood of Advent. We rush to and through Christmas all too quickly. We get swept up in the slip stream of those around us and comply all too easily with the chaos. Perhaps we need to slow down, take our time and not rampage through Christmas as we have in times past. Perhaps intentional rest and reflection are what is required? If we do this Christmas might be different. If we take time to reflect on the message of Christmas with more patience and intentionality perhaps the message will change. The things we think we've heard before will maybe become new again and something of a deeper, truer and better relationship will emerge. By acting differently to those around her, Dr. Banks learn something new about herself, something wonderful, unfathomable, something that changes her forever through a relationship she didn't anticipate. If we do this during Advent and over Christmas there's a chance the same will happen to us.